Since I was a little kid I wanted to play Major League Baseball. I dreamt about it, I went out in the yard and pitched to a pitch back or through a tire swing. At my dad’s house I drove the neighbors crazy by throwing a ball against the steps for hours at a time. I loved baseball. Even when I wasn’t playing I was playing. When I wasn’t outside playing ball, I loved to pretend to be the GM in simulated dice games. I even got into programming because I wanted to figure out how to simulate real-life. I quit playing the violin, which I was pretty good at, because I didn’t want it to interfere with me playing baseball. I was a decent player but not incredible. I was a decent fielder but didn’t hit a ton. I played a solid catcher for a few years and was a decent pitcher but didn’t throw particularly hard. I tried hard, though. In tenth grade I moved to Florida and made the varsity team. I played a little centerfield, got one chance to pitch (off a mound, which I had never done before), and came up to bat a few times but didn’t hit much. I was overmatched by the older kids and, it appears, needed glasses. I played part of one season and quit. Quitting baseball is my one regret in life. I didn’t want it bad enough, I didn’t want to work at it, to become a better player, to suffer for the sport I loved. need to keep working at it. No wall should be able to contain me. And talent alone doesn’t dictate success or failure. Effort has far more to do with it. 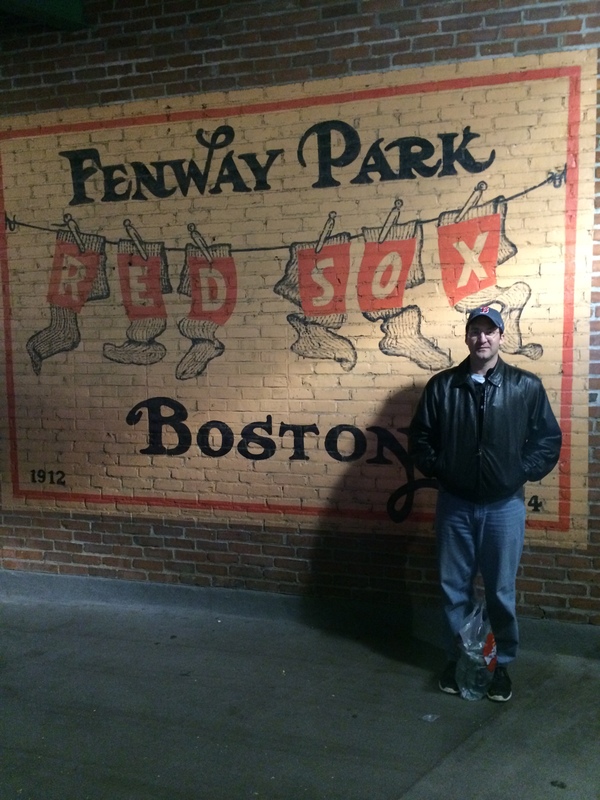 I went to Boston last week where my cousin works for the Red Sox and saw the second game of the World Series. 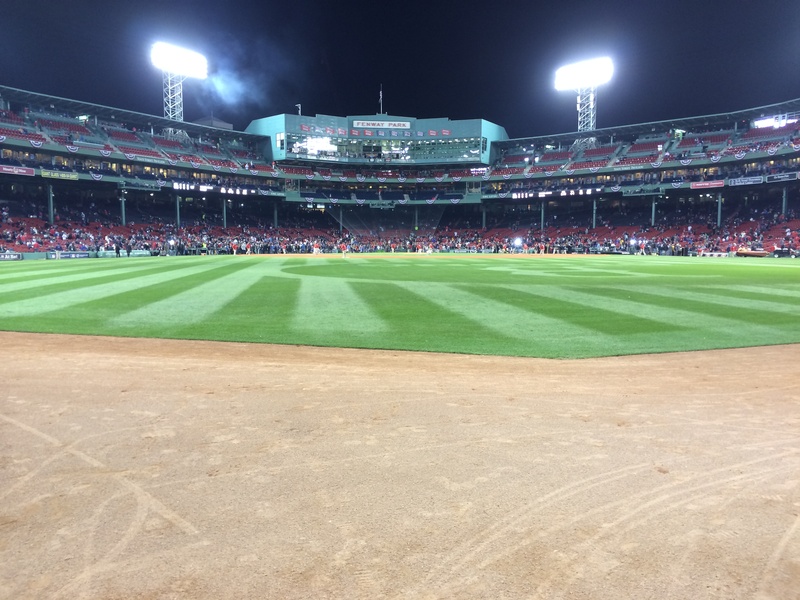 Before the game started, he walked me to all corners of the stadium and even, at one point, into the outfield on the warning track near the centerfield wall. It rekindled a lot of feelings in me about how badly I wanted to play pro ball and how I quit the minute it became hard. I’ll never let that happen again. Great stuff! Thanks for sharing that. It’s amazing how much we can learn from the things that didn’t work out – if we pay attention.